Hello Every One. I want to share with all you the after been back and forth with The City of West Hollywood Parking Violation Division of the County of Los Angeles, I have decided to pay the ticket and move on with my life. 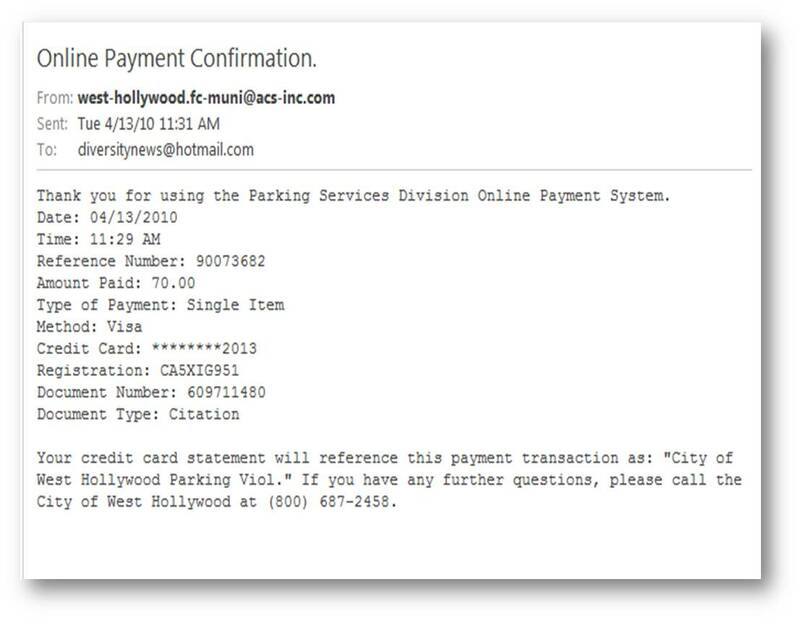 The fees with the City of West Hollywood Parking Violation Division are out of control as well. I do not like to busy West Hollywood anymore and I hope you do the same. If you do please pay those parking lots attendants is better and a saving for you during this economy hard times. 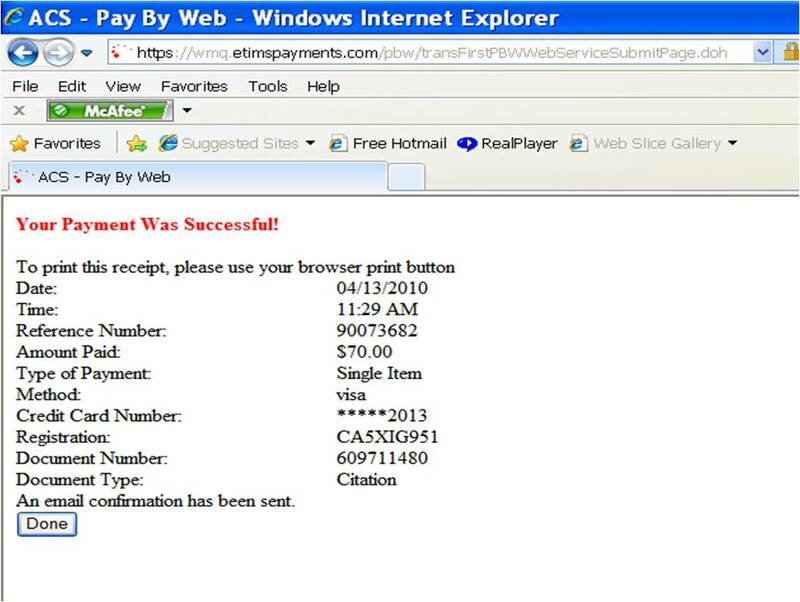 Please see pictures of my payment of the high prices on parking tickets. I just wish the City of West Hollywood and Los Angeles think twise before increasing those fees. Any way I went to the due process which is confusing and time consuming. Just do not support the City of West Hollywood and Los Angeles. The business owners for both cities must take responsibility and talk to city officials the they need to be more FLEXIBLE with their customers or they will loose revenues. parking lots to make money and the City of West Hollywood Parking Violation Division will lost revenue.